Purchase this indoor/outdoor regulation basketball and take the good basketball times with you. To the playground, gym, or park, going solo or competing with friends, an indoor/outdoor regulation basketball is what you need for a great workout and hours of high-energy fun. This indoor/outdoor regulation basketball is made of a composite leather which provides a great easy-grip surface for ultimate handling control. Standard men's size basketball (sometimes referred to as size 7) measure 29.5 inches in circumference. The next size smaller, size 6, is a women's size and measures 28.5 inches in circumference. 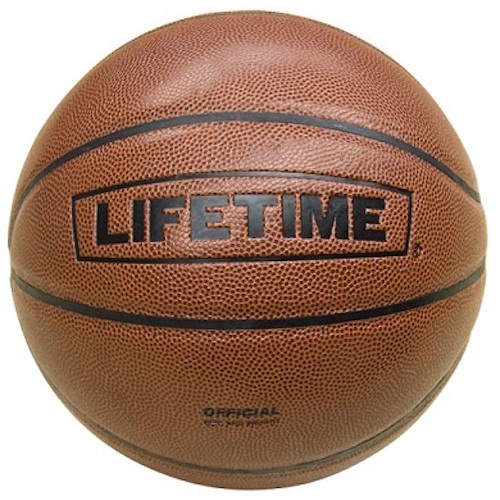 See our other Lifetime basketball products. 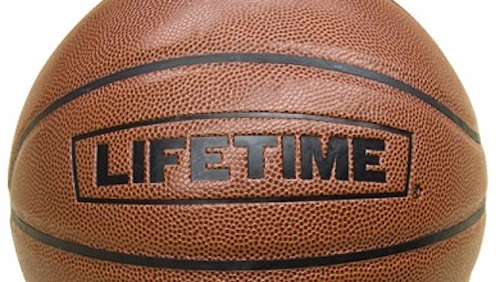 We also carry a large selection Lifetime basketball goals. I needed a basketball so I decided to try this one out. I like the feel and grip of the ball and was impressed at the quality of the ball at a low price. Very high quality basketball. We were not disappointed at all in ordering this product on line. It was delivered within a few days also. Q: Is this NBA regulation size? A: Yes, this is NBA regulation size.